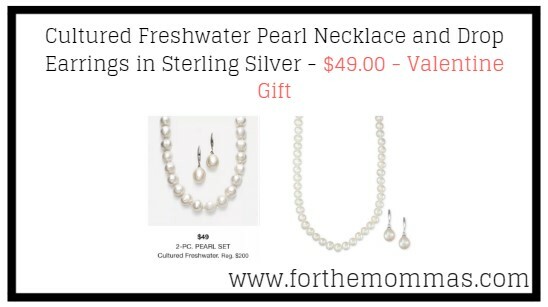 In time for Valentine Gifting, Macy has Cultured Freshwater Pearl Necklace and Drop Earrings in Sterling Silver marked down to $49 from $200. Choose in-store pick up to save on shipping charges or you can get free shipping on orders over $99. Timelessly elegant, this cultured freshwater pearl necklace (7-7 1/2mm) and drop earrings (7x9mm) set is sure to elevate any look.